Born in the fall of 1969 in Buffalo, Tom Terhaar has become one of the most accomplished rowing coaches in the world. Tom’s passion for rowing came from his first interaction during a “Learn to Row” camp at West Side Rowing Club that he and some friends attended the summer between his freshman and sophomore years in high school. Shortly afterwards, he transferred to St. Joseph’s Collegiate Institute and competed on their rowing team. He was inducted into the St. Joe’s Athletics Hall of Fame in 2007. After graduating from St. Joe’s, he went to Northwestern to row on their team as a heavyweight, then transferred to Rutgers University to row in the lightweight category. He finished out his collegiate career in New Jersey. After completing his undergraduate studies in 1991, he took his love for rowing into the coaching ranks. 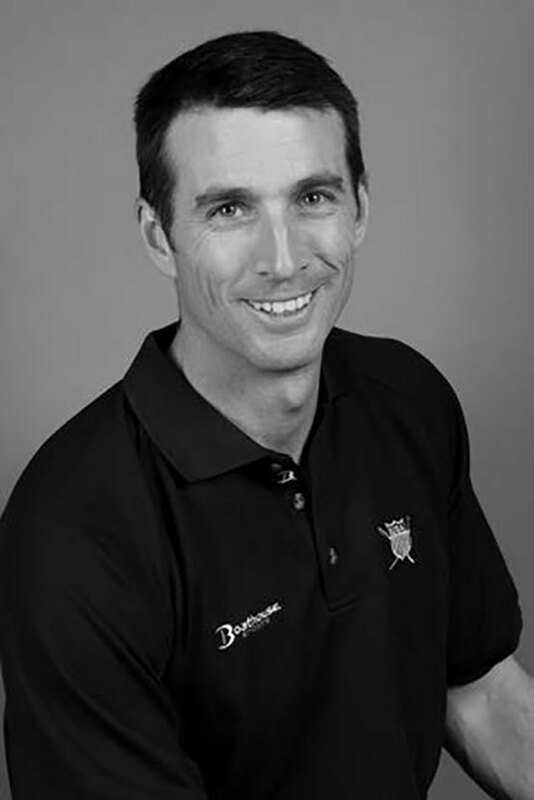 Tom spent five years at Columbia University coaching the men’s lightweight team, and at the same time he became an assistant coach for the U.S. women’s team (1994-2000). At Columbia, his men’s team took a silver medal in the 1998 Intercollegiate Rowing Association Championships and his crew won the Eastern Sprints title for the first time ever in 2000. After leading the women’s quadruple sculls to a fifth-place finish in the 2000 Sydney Olympics, Tom earned the honor of becoming the Head Coach of the U.S. Women’s Rowing Team. Since Tom Terhaar took over the women’s program, there has been no turning back, as the program has achieved unprecedented success. With Tom’s guidance, in the World Rowing Championships, the U.S. women’s eight finished 4th in 2001 and won gold in 2002; the women’s quads took gold in 2003. The women’s eight again won the world title in 2006 and set a world’s best time. In 2007 the eight and quad teams both won world championships and, as a result, Tom was chosen the United States Olympic Committee Coach of the Year. He would trump that honor by being selected World Rowing Coach of the Year in 2009. The U.S. women’s eight crew has been unstoppable. They have won 11 straight major international competitions since 2006, including three consecutive Olympic gold medals – 2008 (Beijing), 2012 (London), and 2016 (Rio de Janeiro). Prior to that string of success, Tom’s women’s eight won a silver medal in 2004 (Athens), the first time the team had medaled in this event since 1984. The women’s quad also took a bronze at the 2012 London Olympics. Tom Terhaar’s storied career continues, but he has already solidified himself as one of the United States best rowing coaches ever.